We have a full service mechanical shop with all of the latest equipment needed to solve any problem you may have with your vehicle. Our technicians are certified and trained to help you get up and running as soon as possible. As a top new Kia and used car dealer in the North Bay area, Kia of North Bay's parts department maintains a comprehensive inventory of Kia parts and accessories. 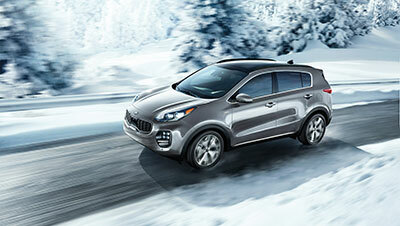 Kia of North Bay takes pride in its knowledgeable and dedicated parts team. Get your Kia auto parts in North Bay by visiting us today. Life is busy enough without having to try to remember to make an appointment to get your car serviced. That's why our dealership, serving Temiskaming Shores and surrounding areas, offers online booking. You no longer have to remember to call for an appointment during business hours, you can book online 24 hours a day, seven days a week. Our dealership also offers service and repairs done by certified and trained technicians at competitive pricing. You no longer need to worry about the quality of work being done on your car because you are trying to stay within a budget. Our team is here to meet your needs without breaking the bank. Book online or come in and see us today.